We would also like to congratulate our verbals in the 2020 class. 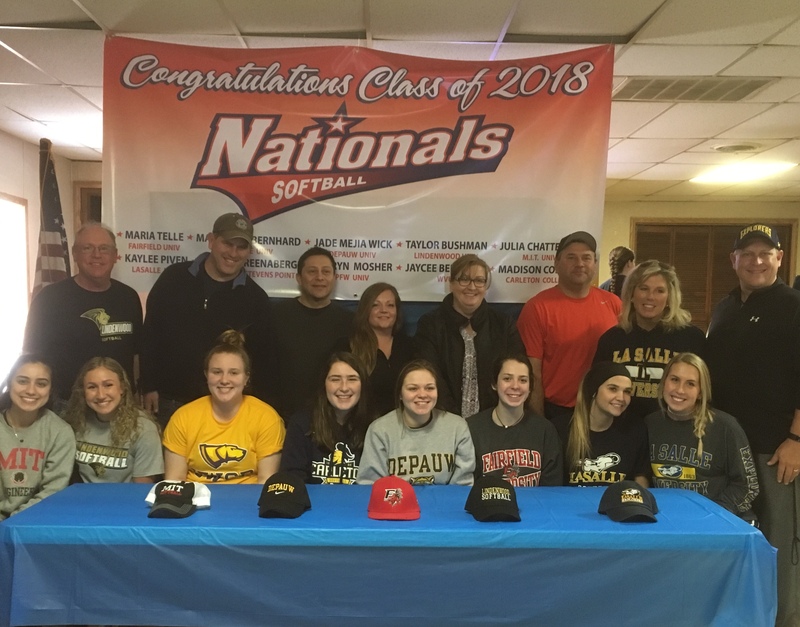 Melena Stemmler (University of Tennessee at Martin), Gianna Niemeier (North Florida University), Isabella Egizo (Lehigh University), Sydney Grein (Ohio University). 16 Under News : Congratulations on going to Triple Crown Nationals in Atlanta Georgia. 14 Under News: Congratulations on winning a bid in USSSA Elite Select by taking 1st Place in Peoria. 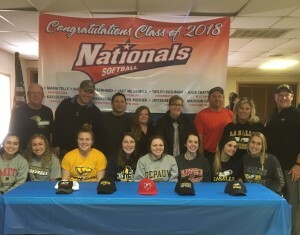 They will be representing the Nationals in the 14 Under ASA National Tournament located in Bowling Green, KY.
Every Monday 6:00 p.m – 7:00 p.m. Open to all, walk-ins welcome. NIGHTLY WITH 2 CERTIFIED EPSTEIN INSTRUCTORS. INSIGHTS INTO THE SCIENCE OF PROPER HITTING TECHNIQUES AS TAUGHT AT TODAY’S ELITE COLLEGES. Numerous students have gone on to play in the SEC, PACK 12, BIG 10, ACC and D1 Collegiate All Americans. All lessons include video feedback, bat speed, ball exit speed and evaluations which can be tracked from week to week.